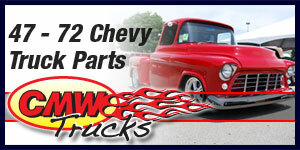 Please consider a Chevy crate motor from GM Performance Parts for your next hot rod, truck or muscle car project. If you are thinking about installing a Chevy crate motor, a GM Performance Parts Chevy crate motor is right for so many reasons. GM Horsepower has crate motors designed and tested by GM engineers. They build top quality engine packages that you get the real spec's on. You can rely on a these motors to deliver the horsepower and torque specs that the report. With the quality control that GM has over their crate motors, they are accurate motor after motor build.gmhorsepower.com has Chevy crate motor blocks and ready-to-run Chevy crate motors. GMHorsepower.com can supply you with your next crate engine from GM Performance Parts. Most Chevy crate motors from GM Performance Parts are backed by a 1-year warranty. Please see our info. on the Chevy crate engine warranty for the engine you are looking at. Testing allows us to confidently stand behind our Chevy crate engines. Only GM Performance Parts can offer you high performance Chevy crate engines that are guaranteed for one year.